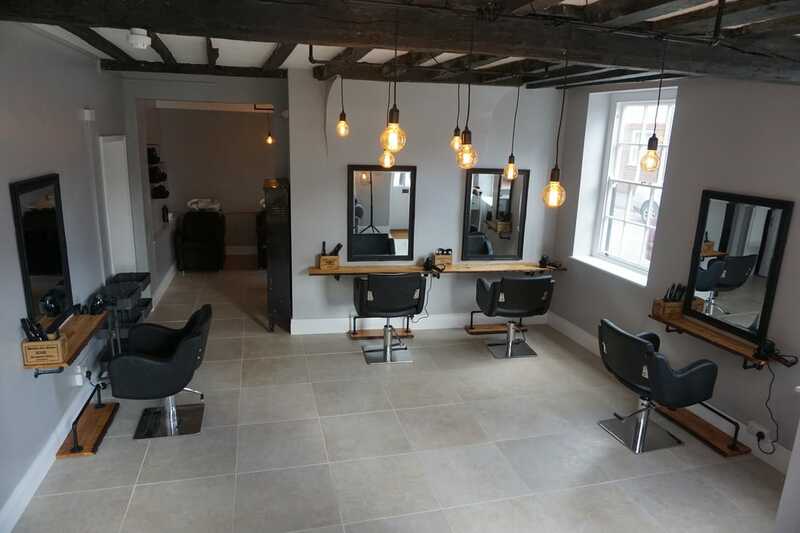 Welcome to Sienna Taye Hairdressing, an independent, multi award-winning hair salon in the heart of Salisbury, Wiltshire. Please feel free to browse our site to find out more about the team, our prices and services, a gallery of some of our work, or simply to get in touch. A message from Sienna Taye's owner, Kelly Craven-Salvatelli. My exciting career began with Toni & Guy. I was immediately inspired by their stylists and went on to become one of the breakthrough artistic team members in London, when I continued to work for this famous London Company brand for 14 years. From there, I decided that I wanted to build my own success from the foundations I'd been given and so after my training & Vardering I ventured out to build my clientele in the beautiful city of Salisbury. Ten years of my career with Toni & Guy were spent educating others in the hair industry. This involved teaching within the salon in Salisbury, travelling to teach in London, Manchester and European academies. I loved this amazing feeling: that people went away having learnt something new from me and to know that I was inspiring others, as I had been inspired along the way. I was being part of that process and sharing my love for hair. As well as teaching others, I was also fortunate enough to display my work through various media outlets. I was able to work on many editorial photo shoots for hair magazines, and even had work printed in the magazines: Hair, Your Hair, Now and Closer. A great achievement of mine was working back stage on the models at London Fashion Week. Watching my work walk down the runway season after season, was a feeling I'll never forget, and such a privilege. Another highlight of my career included working on shows by Vivienne Westwood & Matthew Williamson. Wow! What amazing fashion designers. I have styled red carpet hair for the likes of Michelle Keegan, Jorgie Porter and Tess Daly at events including The BAFTA Awards and The British Soap Awards. Over the years I have been the finalist in many awards including; Rising Star Finalist (Sapphire Awards) and Most Wanted Visionary Finalist Newcomer Hairdresser of the Year (two years in a row) at the British Hairdressing Awards. If you haven't gathered already, I absolutely love my job! My passion for this industry only gets stronger and I'm lucky to have a career I continue to adore. I believe that if you work hard you can achieve your dreams and if you make people feel good about themselves, and give them the best experience that you can, then they'll want to come back to you and it's a job well done. I've found that the key to beautiful hair is to enhance what people have naturally, and not to take over with overpowering colour & cutting. I certainly pride myself on looking after my clients and I'm driven to make sure they feel like they've had a really personal and bespoke time here at my Salon. Which brings me to the name... well anybody who knows me knows that my beautiful little girl is simply mine and my husband's world. I couldn't think of a more important or special name to me: Sienna Taye. The team and I look forward to welcoming you here at Sienna Taye, where you can anticipate a fabulous experience! Sienna Taye were honoured to receive Stylist of the Year (Kelly), Best Hair Salon Regional and Best Hair Salon of the Year at the 2019 English Hair and Beauty Awards on Sunday 19th March. These awards are the icing on the cake for the salon and hardworking team, which opened just 2 years prior, and represent the tireless work that goes on every day to ensure that all clients have the very best experience from start to finish.